H. H. Holmes, a conman who claimed to have murdered 27 people in the 19th century, was one of America’s most prolific serial killers. In reality, he might have killed up to 200 people under many aliases – but could he have travelled across the Atlantic and committed the atrocities infamously attributed to Jack the Ripper? This question is the subject of American Ripper in London, a new documentary from Crime and Investigation channel. Fronted by Holmes’s great-great-grandson Jeff Mudgett with ex-CIA analyst Amaryllis Fox, the series investigates the theory that East London’s most famous cold case was the work of America’s first serial killer. It’s an out there theory. Both H. H. Holmes and Jack the Ripper have been extensively researched since their crimes took place, with none linking the two together. Holmes’s premeditated murder spree for financial gain was very different to the Ripper’s opportunistic killing spree. Chicago is a great distance from Whitechapel. Fortunately, whether one believes Mudgett’s theory or not, the investigation into Holmes and the Ripper is fascinating nonetheless. Mudgett’s charisma carries the documentary, with his eagerness to find answers and prove his theory driving the series. There are some surprising revelations about Holmes in the first episode, including the fact that a number of children died under mysterious circumstances in his hometown and the fact that legal documents cannot date him in Chicago during the period of the Ripper murders. Even if this information proves unrelated to the Ripper case, it’s still a fascinating insight into one of the world’s most cold-blooded and infamous killers. American Ripper in London is off to a thought-provoking start. Could two infamous serial killers on two different continents really be the same person? It’s an intriguing premise and makes for an entertaining new series. 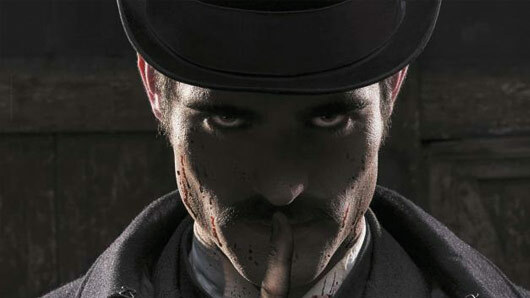 American Ripper in London airs Mondays on Crime and Investigation from tonight (December 4) at 10pm.